Zirtek allergy relief tablets contain the active ingredient cetirizine, which is a type of medicine called a non-sedating antihistamine. Cetirizine works by preventing the actions of histamine. Cetriz allergy relief tablets contain the active ingredient cetirizine, which is a type of medicine called a non-sedating antihistamine. Cetriz works by preventing the actions of histamine. Cetriz works by blocking histamine H1 receptors. It does not prevent the actual release of histamine from mast cells, but prevents it binding to its receptors. This in turn prevents the release of other allergy chemicals and reduces the blood supply to the area, providing relief from the typical symptoms of hayfever. Cetriz can also be used to relieve the symptoms of a condition called chronic idiopathic urticaria. This is a chronic itchy rash, similar to nettle rash, but with no apparent cause. Blocking the actions of histamine relieves the itching and reduces the rash associated with this condition. Cetriz is called a non-sedating antihistamine as it does not enter the brain, and is therefore unlikely to cause drowsiness. 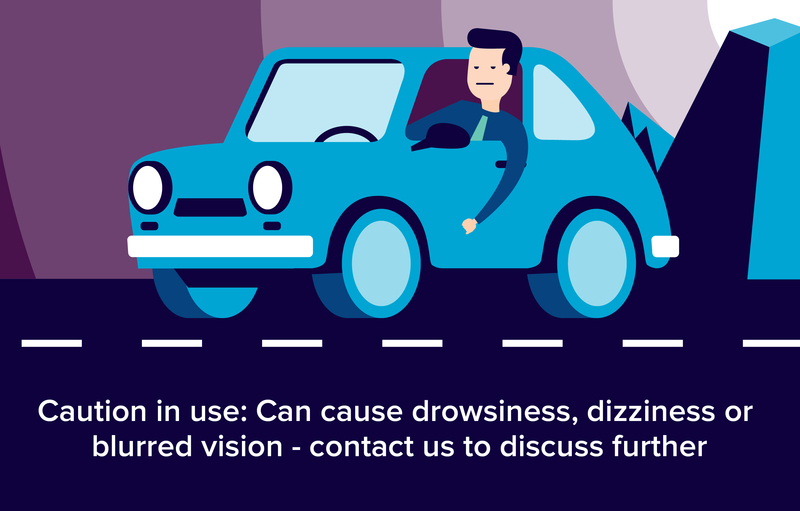 However, some people may experience some slight drowsiness. What is Cetriz used for? How do I take Cetriz? Children under six years of age. (Liquid forms of Cetriz are available from pharmacies for younger children).